Shambling mounds take no damage from electricity. Instead, any electricity attack used against a shambling mound temporarily increases its Constitution score by 1d4 points. The shambling mound loses these temporary points at the rate of 1 per hour. A death worm's blood can corrode metal on contact. If a creature damages a death worm with a piercing or slashing weapon made of metal, the creature's blood deals 3d6 points of acid damage to the metal weapon (unlike most forms of energy damage, this damage is not halved when applied to a metal object, although it does still have to penetrate the metal's hardness). The weapon's wielder can halve the damage the weapon takes by making a successful DC 17 Reflex save. Creatures made of metal that deal slashing or piercing damage to a death worm with a natural attack take 3d6 points of acid damage (a DC 17 Reflex save halves this damage). The corrosive elements of the blood fade 1 round after it leaves the worm's body or the worm dies. The save DC is Constitution-based. Bite-injury, or skin-contact; save Fort DC 17; frequency 1/round for 6 rounds; effect 1d2 Con damage; cure 2 saves. A death worm's skin secretes a noxious, waxy substance. This venomous sheen poisons any creature that touches a death worm, either by making a successful attack with an unarmed strike or natural weapon or with a touch attack. 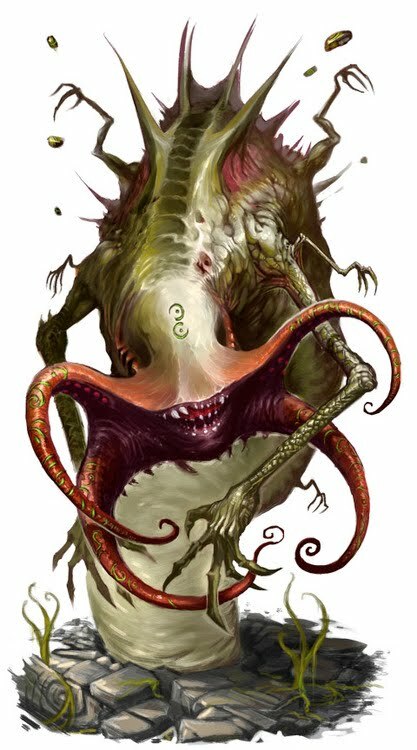 A creature that grapples a death worm is also exposed to the creature's venomous skin.